Imagine the dinner party scenario: Hours of work in the kitchen; hours of enjoyment around the table; hours of sleeping it off; and, when you get up in the morning, a kitchen that smells like it never happened. That's the test of a great rangehood. Our products will exceed your expectations for style, performance, and quality while enhancing the indoor air quality of the home. At Bossino we appreciate that choosing a rangehoood isn't an easy task. That's why this site is more than just a parade of nice looking rangehoods. For every model in our range, you'll find images, information and specifications to dissipate the fog of confusion and help you to make a smart choice. 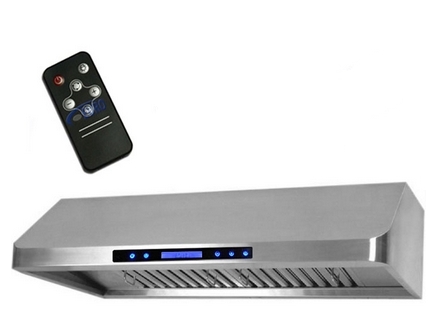 Turn on the Bossino range hood, and you'll hear only a whisper of air movement, because the motor blower system provides the quietest ventilation available. Going green isn't just a slogan, it's a committment. Keep your home green! Bossino is committed to designing innovative appliances to the highest standards in the most environmentallyl sensitive way possible by maximizing the efficiency of our products. 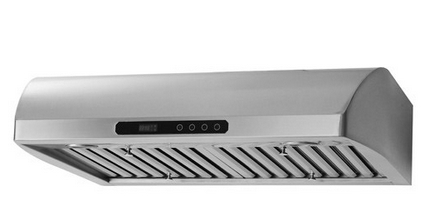 Besides using very little energy, Bossino range hoods help to keep energy costs down in your home. Bossino gas cooktops feature spiral burners that deliver even heat in an extremely short period of time. Bossino offers complete ultra-premium kitchen range hoods, and gas cooktops and truly consistent design, while delivering the quality and performance that makes Bossino the true market leader. Bossino gas cooktops are constructed from seamless stainless steel, creating a sleek finish requiring minimal maintenance. They are easy to clean, and will cook perfectly on low to high temperatures. All equipped with the Flame Failure Device which swiftly shuts down the gas supply for your safety if the flame goes out. So you can count on them to help keep your kitchen cleaner for years to come.